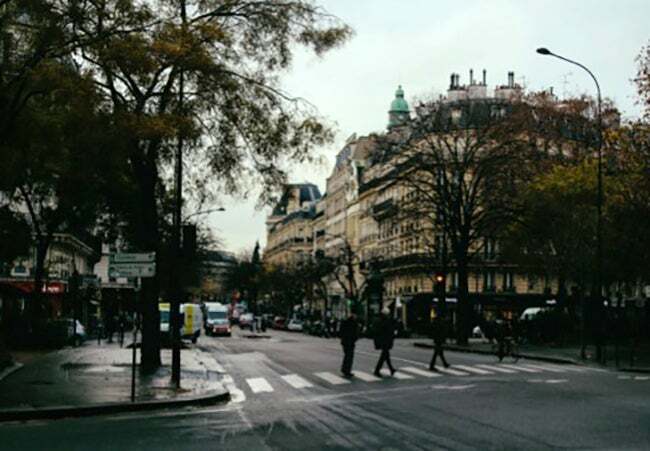 Undergraduate student Karl Gourgue blogs about his experience studying abroad in Paris. “Hey man, how was Paris?” I’ve been asked this question dozens of times since arriving back home, and I still have no idea how to describe it. It was an overwhelmingly positive experience that honestly shocked me at many times. I didn’t expect to enjoy living in a quiet village as much as I did. I didn’t think HEC would satisfy my hankering for adventure nearly as much as it did. I expected a quiet semester full of studying and research, but I got an intense semester marked by new sports, getting stranded places and discovering absurd aspects of French culture. Do I feel like the exchange was good for my business studies and career prospects? Absolutely. I discovered that accounting is actually pretty interesting. I learned that finance is absolutely not my field. Since coming back two weeks ago, I’ve already extensively discussed my experience with potential employers in a few different job interviews. Here are the top five things I’m going to miss about my time studying and working abroad this year. 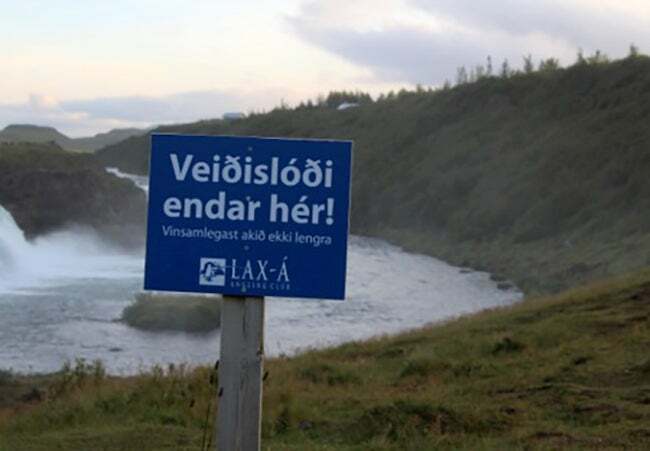 Both Chinese and Russian struck me as easier than Icelandic. I can now say that I have a lot of experience not understanding people. At several points throughout the year, I failed to understand something in Danish, Spanish, German, Czech, Hungarian, Slovak, Polish, Arabic, Serbian, Greek, Italian, Portuguese, Ukrainian, Swedish, Chinese, Icelandic, French, Dutch, Gaelic and Finnish. Really, I learned a valuable skill in being able to read people. I learned a lot about the way different cultures move and act. I let my lack of understanding drive my curiosity to learn about why people stand the way the stand. I started to understand facial expressions better than I did words. In the end, I did learn varying amounts of Czech, Russian, Chinese and French, but I really value the relationships I built despite language barriers. My first internship abroad was in Prague, working for a guy who lived in another part of the Czech Republic, who in turn worked for a company based in the United Arab Emirates. It was pretty complicated, but I was exposed to the benefits and drawbacks of remote work. I was challenged to come up with figures and analyses that weren’t really easy to find, but the experience gave me a lot of confidence in my ability to do good work. My second internship abroad in China was even more complicated. 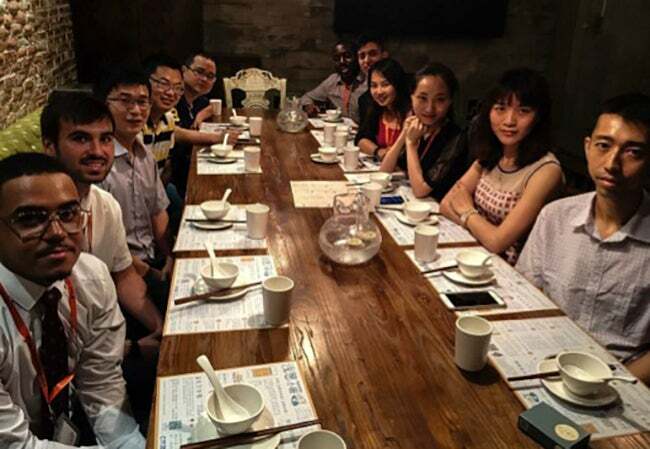 I was working for a company with more than 4,000 Chinese employees, and I had very limited Chinese language skills. I probably took away the most cultural education here. I learned about the different ways that people prefer to do business around the world and why some employees work best in certain places. I have a long list of things I want and don’t want out of a workplace and career thanks to my summer in Shenzhen. Last fall, I worked hard. I was a full-time student, an intern and worker in four separate on-campus jobs, a research assistant, a club marketing chair and a flag football captain. On top of that, I did several co-curricular and extra-curricular activities, went to conferences in Minneapolis and Philadelphia and juggled two more jobs during the winter break before I left to go abroad. I squeezed every possible hour out of every day I had during those few months, and I loved it. At the same time, I recognized that being so busy was the sign of being a young student struggling to find his niche. 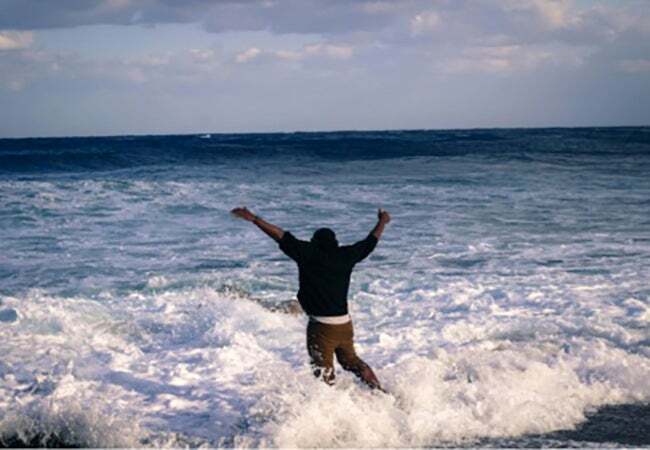 I wanted to come back from my time abroad more focused, being able to say that I spent every possible hour of every day working on just one or two things. Prague was where I was forced to really slow down. My initial frustration with the city was the slow pace. I felt the same in China, where some parts of the country were way too slow for me to ever live long-term. The vibrant Jouy-en-Josas seemed like a quaint French village with not much to offer someone looking for wild new adventures every day. The focus I developed from living in more relaxed places makes it easier to appreciate the city. I can take an off day and not feel too bored now. I can't remember taking too many honest days off before. I've established a work/life balance where I didn't have one before, and I've learned to enjoy the little things in life a lot more. 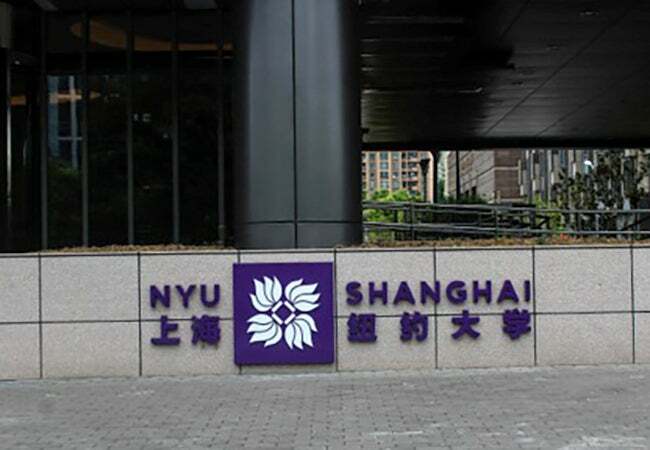 I loved getting to see NYU’s three main campuses in the span of eight months – New York in January, seeing Abu Dhabi in March and finally hitting Shanghai in August. One of the best perks (in my opinion) of having an NYU ID is being able to access bathrooms and WiFi all over the city. Part of what made my journey abroad so much fun was checking out the bathrooms and WiFi in NYU Tel Aviv, Paris, Prague, London, Abu Dhabi and Shanghai. Each campus has such a distinct style, but what’s more impressive is the consistency between campuses. Everywhere I went felt like NYU, and the students I met at each confirmed that there’s something incredibly unique about our Global Network University. After four months with the team, I realized I didn’t have a single picture of the group. Here’s a picture of a random street in Paris instead. At the end of my first practice for the rugby team, we were running basic wind sprints, but, after a few, you could tell everyone was feeling the fatigue. Normally on campus, you might hear some cars driving around, or the sheep moving around, or people walking and talking around. All I could hear was the labored breathing of a group of guys pushing themselves beyond their limits trying to build something greater than themselves. There was something visceral about that moment. It was familiar. I couldn't pass a rugby ball to save my life. I had zero understanding of the formations, or the positions or the rules. I could barely understand the practice itself, given that it was conducted in French. But I could understand the team. I felt a pull to it, and I felt that I would get something from being on the team that I wouldn't get anywhere else at HEC this semester. I stuck with it, using some borrowed techniques from my (American) football days to get better at it. I had some momentary successes, but I couldn’t shake that team feeling that I felt connected me to Stern originally. Seeing the effort Stern students put into just about everything inspired me from the beginning, but seeing how well people worked together made me love it. There’s something about the way the rugby team worked together that made me really like them from the beginning, and that initial feeling never really went away. In the end I wouldn't give up my year abroad experience for anything, and I've come back to New York a different (I like to think better) person. Do I wish I could’ve spent a full year at HEC? No doubt. However, as much as I'm looking forward to keeping the adventure going in 2016, I'm really excited to reestablish my life in New York back at NYU.